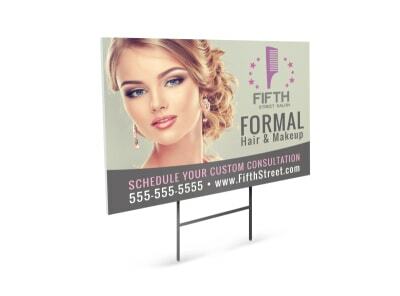 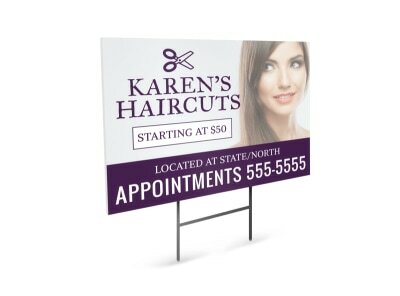 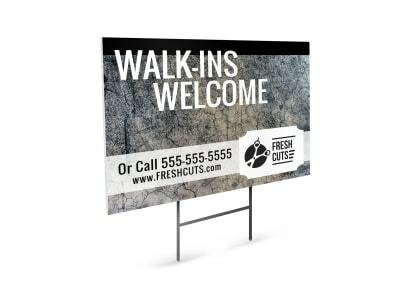 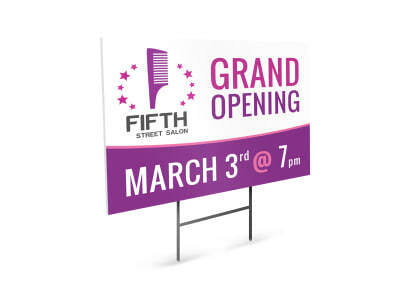 Promote your salon’s big launch, a great cut & color special, or just let the neighborhood know a new stylist has joined your team with custom-designed yard signs that can’t be missed. 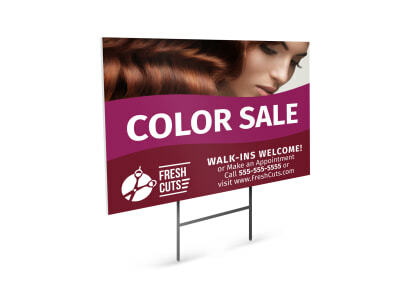 MyCreativeShop’s design team has crafted a stylish set of beauty yard sign templates for you to choose from. 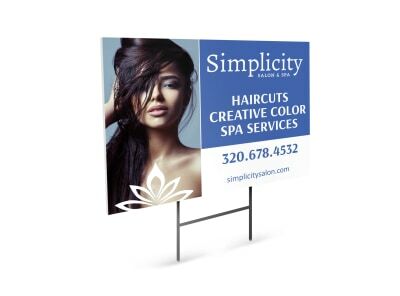 With our online editor, creating a unique finished look is as easy as 1-2-3! 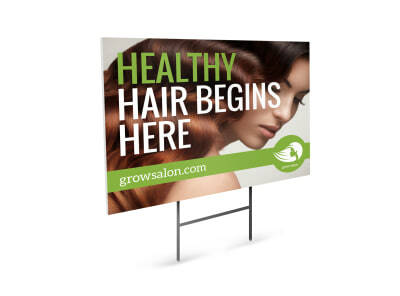 Give your chosen template a cut here, a color there, until the makeover is complete. 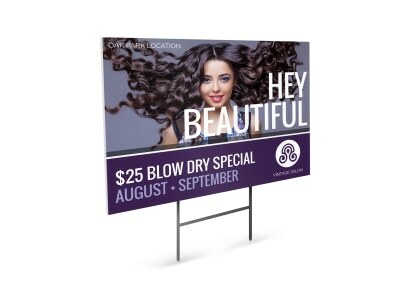 Run your finished project through the dryer (um, printer) or send it to us for a professional print & color job!